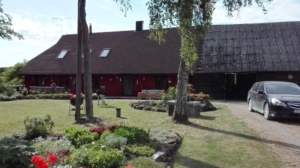 While in Estonia we are staying on a beautiful farm surrounded by woods. The use of the farm is managed by an NGO and it provides many opportunities for summer and winter camps for children. Here they learn many life skills including, how to work together, farm and work skills and of course time for play. The reputation of the farm grows, and now other groups use the place for staff reflection and planning days. It was the perfect place to have a rest day. Of course, we still got some new signatures on the bus! !